Most commonly used to house sewing supplies by the Shakers, this Apothecary Chest makes a very attractive end table. 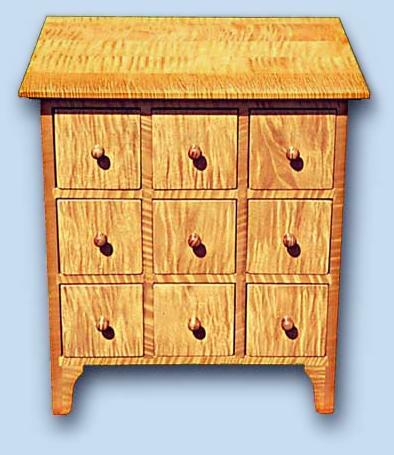 Shown in tiger maple, the nine dovetail drawers also have hand turned tiger maple knobs. The dimensions are 26" wide, 28" high, and 18" deep. It is available in all woods.